Axcelis Technologies Inc (NASDAQ:ACLS) has had an amazing run over the last few weeks, up more than 50% since the end of September to hit a 52-week high yesterday. We’ve decided to close our position because it’s trading at a substantial premium to our estimate of its liquidation value and we don’t think the underlying business is all that great (not that we have any particular insight into these things). At its $1.63 close yesterday, our position in ACLS is up 171.7% on an absolute basis. The S&P500 closed at 906.65 on the day we opened the position, and closed yesterday at 1,073.18, an 18.4% gain, which means we’ve outperformed the S&P500 over the same period by 153.3%. We started following ACLS on January 8 this year (see our post archive here) because it was trading at a discount to our estimate of its liquidation value with an activist investor, Sterling Capital Management, holding 10.7% of its outstanding stock. The picture for ACLS looked fairly grim at that stage. We noted that it had been “making substantial operating losses that have widened over the last five quarters” that had prompted “Sterling Capital Management to detail to ACLS management an aggressive restructuring strategy to salvage for stockholders what value remains.” Shortly after we opened the position ACLS failed to make a payment required under its 4.25% Convertible Senior Subordinated Notes, which meant that the company was required to repay the outstanding principal amount of the notes plus a maturity premium and accrued interest (a total payment of approximately $85 million) on January 15. On February 26, in a remarkable deal given the extremely difficult conditions, ACLS managed to sell to Sumitomo Heavy Industries, Ltd. (SHI) of its 50% interest in SEN Corporation, its joint venture with SHI, for proceeds of $122.3 million. ACLS received around $35.9M in cash after applying $86.4M of the proceeds to meet its obligations to the Convertible Senior Subordinated Noteholders. The company hit its low of $0.17 on Feburary 25, at which point our position was down over 70%. From its February 25 nadir, ACLS is up approximately 860% to close yesterday at $1.63, which gives the company a market capitalization of $170M. We last estimated ACLS’s liquidation value at around $113.6M or $1.10. Its net current asset value at the last reporting date was a little higher at around $180M or $1.77 per share. We still think that cash burn is a significant issue for ACLS, and we suspect that both the liquidation and net current asset values will be lower at the upcoming reporting date. At the rate of cash burn prevailing at the last reporting date, we estimated the company had around six months before its liquidation value was around $0.60, and around a year before it was worthless. We think that’s an improbable – but not impossible – outcome. ACLS’s recent run-up may be attributable to attention it has now started receiving from the mainstream media and larger investment banks. Citi thinks ACLS could be worth $3, noting that “while we are far from bullish on business prospects and we acknowledge that there’s risk to ACLS’ ability to raise much-needed cash in the next several months, we think the company will be able to raise sufficient capital w/o going to the public markets.” The Wall Street Journal also ran an article yesterday in which it quoted an analyst as saying “the stock is undervalued, since there were concerns about whether the company would survive. It was one of the hardest hit in the downturn … partly because it had market-share losses amid a cyclical semiconductor decline before the financial crisis even hit. … Now it looks like the company will probably make it, so there’s a correction in valuation.” That may be so, but we’ve got no particular insight into the business or the industry, and so we’re closing the position. Semiconductor equipment provider Axcelis Technologies (ACLS) joins the list in first place, based on a ratio of “net net” current assets to market value of 1.3x, making ACLS a Ben Graham-style bargain stock. We calculate “net net” current assets as current assets minus total liabilities. A ratio of 1.3x suggests that the liquidation value of ACLS may exceed the company’s market value, potentially attracting the interest of activist investment funds. Biotech drug developer Myriad Pharmaceuticals (MYRX) joins the list in second place, as the company has net cash of $169 million versus market value of $135 million. Insiders own virtually no shares of the company, making Myriad vulnerable to activist shareholder action. Communications equipment provider Radvision (RVSN) joins the list in 12th place. Radvision shares recently tumbled to a market value of $115 million, only $8 million above the company net cash balance. The stock price decline came on the heels of Cisco’s announcement that it would aquire video conferencing company Tandberg. Radvision provides such technology to Cisco, with the latter Radvision’s largest customer. Specialty steel product maker Universal Stainless & Alloy (USAP) joins the list in 30th place. The shares trade at 0.8x price to tangible book value, and the company has 19% of its market value in net cash. “Net net” current assets account for two-thirds of USAP’s market value, making the company a potentially interesting recapitalization candidate. Biopharma company Progenics Pharmaceuticals (PGNX) joins the list in 34th place. The shares trade within 10% of their 52-week low, reflecting the stock’s lack of participation in the recent stock market rally. With a market value of $155 million and more than $100 million of net cash, the shares could attract the attention of activist investors familiar with the biopharma industry. Cancer drug discovery firm Infinity Pharma (INFI) joins the list in 36th place. While the company is losing money as it advances its drug development pipeline, management has stated that the company has sufficient liquidity through 2013. INFI has a market value of $152 million versus a net cash position of $150 million. Zoran Corp. (ZRAN), a provider of digital solutions for application in the digital entertainment and imaging markets, joins the list in 42nd place. The company recently posted strong sequential revenue growth in key business segments and returned to positive cash flow generation. With 63% of the market value in net cash, the company may be in a position to aggressively repurchase shares, thereby boosting shareholder value on a per-share basis. Semiconductor equipment company Rudolph Technologies (RTEC) joins the list in 43rd place. The company’s Q2 revenue growth exceeded guidance, but investors continue to shun the stock. RTEC has one-third of its market value in net cash and nearly two-thirds in “net net” current assets. Finally, fabless semiconductor company Sigma Designs (SIGM) joins the list in 44th place. With one-half of market value in net cash and an enterprise value-to-revenue multiple of 0.9x, the shares appear quite cheap. The company may be in a position to boost shareholder value by using excess liquidity to repurchase shares or pay a one-time cash dividend. Citi upgrades Axcelis Technologies Inc (Nasdaq: ACLS) from Hold to Buy. Price target lowered from $5.50 to $3. Axcelis Technologies, Inc. (Axcelis) designs, manufactures and services ion implantation, dry strip and other processing equipment used in the fabrication of semiconductor chips. Axcelis Technologies Inc (NASDAQ:ACLS) has filed its 10Q for the period ended June 30, 2009. We started following ACLS on January 8 this year (see our post archive here) because it is an undervalued asset play with an activist investor, Sterling Capital Management, holding 10.7% of its outstanding stock. ACLS has completed the sale of its 50% interest in SEN Corporation, its joint venture with Sumitomo Heavy Industries, Ltd. (SHI) to SHI for proceeds of $122.3 million. ACLS received around $35.9M in cash after applying $86.4M of the proceeds to meet obligations to the holders of the company’s 4.25% Convertible Senior Subordinated Notes, upon which ACLS defaulted in January. We last estimated ACLS’s liquidation value at around $117.8M or $1.14 per share. Following our review of the 10Q, we’ve reduced our estimate to $113.6M or $1.10, which is around 80% higher than its $0.60 close yesterday. Cash burn is a significant issue for ACLS. At the current rate of cash burn, we estimate the company has around six months before its liquidation value meets its current price, and around a year before it’s worthless. We’ve been quite kind to ACLS by assuming only $50M of cash burn over the next twelve months. On its current form, $80M would have been closer to the mark. We’re assuming management takes some action to staunch the flow, but an assumptions like that might make us look like fools. ACLS has made substantial operating losses over the last two years, and it is likely to be continue to do so. While its liquidation value of around $113.6M or $1.10 per share is more than 80% higher than its close yesterday of $0.60, it is likely to deteriorate while it continues its operating losses. ACLS continues to be our problem child, and we don’t think there is any good news on the horizon near-term, but we find it difficult to exit the position while it’s trading at a such a large discount to its (albeit deteriorating) liquidation value. Accordingly, we’re going to hold on for the moment, and see how the position plays out. If we get an opportunity to exit at close to value, however, we’ll take it. If the position hasn’t improved by the next Q, we’re likely sellers. Update June 16, 2009: SOAP has announced that it proposes to liquidate. See our post below. Update June 3, 2009: We’ve pinned this post to the front page. Any new posts between now and July 4th will appear below this post. June 1, 2009 marked the end of Greenbackd’s second quarter. It’s time again to report on the performance of the Greenbackd Portfolio and the positions in the portfolio, discuss the evolution of our valuation methodology and outline the future direction of Greenbackd.com. The second quarter was nothing short of a blockbuster for the Greenbackd Portfolio, up 74.2% on an absolute basis, which was 52.8% higher than the return on the S&P500 return over the same period. A large positive return for the period is heartening, but our celebration is tempered by the fact that it is difficult to avoid a good return in a market that rises 25.0% in a quarter. Our Q1 performance was -3.7% (see our first quarter performance here), which means that our total return since inception (assuming equal weighting in each quarter) is 67.8% against a return on the S&P500 of 11.6%, or an outperformance of 56.2% over the return in the S&P500. You may have noticed something odd about our presentation of performance. The S&P500 index rose by 25.0% in our second quarter (from 735.09 to 919.14). Our +74.2% performance might suggest an outperformance over the S&P500 index of 49.2%, while we report outperformance of 52.8%. We calculate our performance on a slightly different basis, recording the level of the S&P500 index on the day each stock is added to the portfolio and then comparing the performance of each stock against the index for the same holding period. The Total Relative performance, therefore, is the average performance of each stock against the performance of the S&P500 index for the same periods. As we discussed above, the holding period for Greenbackd’s positions has been too short to provide any meaningful information about the likely performance of the strategy over the long term (2 to 5 years), but we believe that the strategy should outperform the market by a small margin. We started Greenbackd in an effort to extend our understanding of asset-based valuation described by Benjamin Graham in the 1934 Edition of Security Analysis. (You can see our summary of Graham’s approach here). 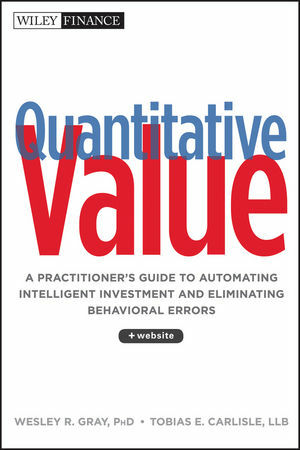 Through some great discussion with our readers, many of whom work in the fund management industry as experienced analysts or even managing members of hedge funds, and by incorporating the observations of Marty Whitman (see Marty Whitman’s adjustments to Graham’s net net formula here) and Seth Klarman (our Seth Klarman series starts here), we have refined our process. We believe that what started out as a pretty unsophisticated application of Graham’s liquidation value methodology has evolved into a more realistic analysis of the balance sheet and the relationship of certain disclosures in the financial statements to asset value. Our analyses are now quantitatively more robust than when we started and that has manifest itself in better performance. 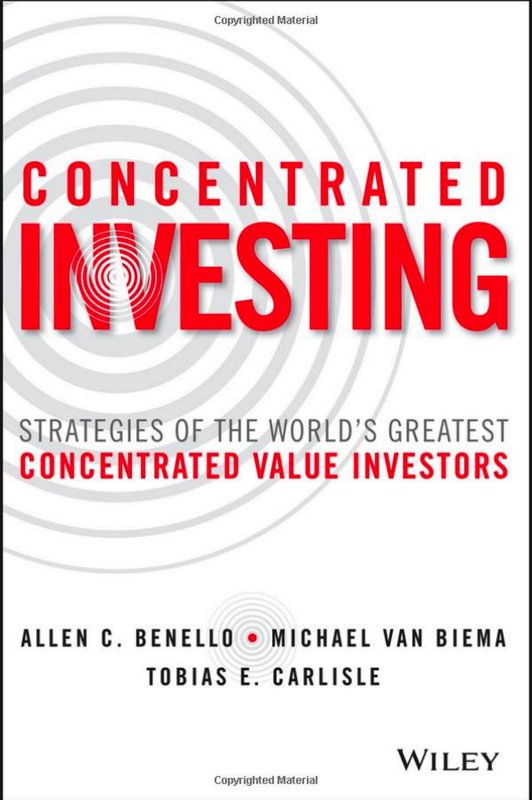 Tweedy Browne offers some compelling evidence for the asset based valuation approach here. Greenbackd is a labor of love. We try to create new content every week day, and to get the stock analyses up just after midnight Eastern Standard Time, so that they’re available before the markets open the following day. Most of the stocks that are currently trading at a premium to the price at which we originally identified them traded for a period at a discount to the price at which we identified them. This means that there are plenty of opportunities to trade on our ideas (not that we suggest you do that without reading our disclosures and doing your own research). If you find the ideas here compelling and you get some value from them, you can support our efforts by making a donation via PayPal. We look forward to bringing you the best undervalued asset situations we can dig up in the next quarter. Axcelis Technologies Inc (NASDAQ:ACLS) has filed its 10Q for the period ended March 31, 2009. We started following ACLS on January 8 this year (see our post archive here) because it is an undervalued asset play with an activist investor, Sterling Capital Management, holding 10.7% of its outstanding stock. ACLS has completed the sale of its 50% interest in SEN Corporation, its joint venture with Sumitomo Heavy Industries, Ltd. (SHI) to SHI for proceeds of $122.3 million. ACLS received around $35.9M in cash after applying $86.4M of the proceeds to meet obligations to the holders of the company’s 4.25% Convertible Senior Subordinated Notes, upon which ACLS defaulted in January. We last estimated ACLS’s liquidation value at around $147M or $1.43 per share based on our reconstruction of the balance sheet following the sale. We’ve now had an opportunity to review the actual balance sheet and reduced our estimate to $117.8M or $1.14 per share, which is more than 170% higher than its close yesterday of $0.42. ACLS has made substantial operating losses over the last two years, and it is likely to be continue to do so. While its liquidation value of around $117.8M or $1.14 per share is more than 170% higher than its close yesterday of $0.42, it is likely to deteriorate while it continues its operating losses. ACLS has been our problem child, and we don’t think there is any good news on the horizon near-term, but we find it difficult to exit the position while it’s trading at a such a large discount to its (albeit deteriorating) liquidation value. Accordingly, we’re going to hold on for the moment, and see how the position plays out. If we get an opportunity to exit at close to value, however, we’ll take it. Axcelis Technologies Inc (NASDAQ:ACLS) has completed the sale of its 50% interest in SEN Corporation, its joint venture with Sumitomo Heavy Industries, Ltd. (SHI) to SHI for proceeds of $122.3 million. ACLS received around $35.9M in cash after applying $86.4M of the proceeds to meet obligations to the holders of the company’s 4.25% Convertible Senior Subordinated Notes, upon which ACLS defaulted in January. We started following ACLS on January 8 this year because it is an undervalued asset play with an activist investor, Sterling Capital Management, holding 10.7% of its outstanding stock. In our initial post we estimated ACLS’s liquidating value at around $134.9M, or $1.31 per share. We’ve now updated our estimate following completion of the sale to $147M or $1.43 per share, which is more than 250% higher than its close yesterday of $0.41. Axcelis Technologies, Inc. (Nasdaq: ACLS) has completed the sale of its 50% interest in SEN Corporation, an SHI and Axcelis Company (SEN), to Sumitomo Heavy Industries, Ltd. (SHI). The Company received net proceeds from the sale of approximately $122.3 million after advisor fees and other expenses and will recognize a gain on the sale of approximately $1.2 million in the first quarter of 2009. Axcelis has applied $86.4 million of the sale proceeds to meet its obligations on its 4.25% Convertible Senior Subordinated Notes, which were due in January. As a result of the payment, the trustee for the notes will withdraw litigation filed in connection with Axcelis’ default on the notes. The sale was completed pursuant to a Share Purchase Agreement that Axcelis and SHI entered into on February 26, 2009. SEN was licensed by Axcelis to manufacture and sell certain implant products in Japan. Prior to the completion of the sale, it was owned 50/50 by Axcelis and SHI. March 1, 2009 marked the end of Greenbackd’s first quarter, so we thought we’d take the opportunity to update you on the performance of the Greenbackd Portfolio and the positions in the portfolio, discuss some changes in our valuation methodology since our first post and outline the future direction of Greenbackd.com. The absolute total return across the current and former positions as at February 28, 2009 was -3.7%, which was +7.0% higher than the S&P500’s return over the same periods. A negative return for the first period is disappointing, but we are heartened by the fact that we outperformed the market by a small margin. You may have noticed something odd about our presentation of performance. The S&P500 index declined by 18.0% in our first quarter (from 896.24 to 735.09). Our -3.7% performance might suggest an outperformance over the S&P500 index of +14.3%. We calculate our performance on a slightly different basis, recording the level of the S&P500 index on the day each stock is added to the portfolio and then comparing the performance of each stock against the index for the same holding period. The Total Relative performance, therefore, is the average performance of each stock against the performance of the S&P500 index for the same periods. As we discussed above, the holding period for Greenbackd’s positions has been too short to provide any meaningful information about the likely performance of the strategy over the long term (2 to 5 years), but we believe that the strategy should outperform the market by a small margin. We started Greenbackd in an effort to extend our understanding of asset-based valuation described by Benjamin Graham in the 1934 Edition of Security Analysis. Through some great discussion with our readers, many of whom work in the fund management industry as experienced analysts or even managing members of hedge funds, we have had the opportunity to refine our process. We believe that what started out as a pretty unsophisticated application of Graham’s liquidation value methodology has evolved into a more realistic analysis of the balance sheet and the relationship of certain disclosures in the financial statements to asset value. We’re not yet ready to send it into space, but we believe our analyses are now qualitatively more robust than when we started and that has manifest itself quantitatively in better performance (more on this below). We didn’t take account of the effect of off-balance sheet arrangements and contractual obligations. This caused us to enter into several positions we should have avoided, including BGP and VVTV. We were using overly optimistic estimates for the recovery rates of assets in liquidation. For example, we started using 50% of Gross PP&E. We now use 20% of Net PP&E. We now apply Graham’s formula as the base case and deviate only when we believe that Graham’s formulation doesn’t reflect reality. It seems we got lucky with KONA, but the performance of the balance of the stocks was wholly negative. The performance across all stocks listed above was -12.5% on an absolute basis and -3.9% on a relative basis. Excluding these eight stocks from our portfolio (i.e. treating the portfolio as if we had not entered into these positions) would have resulted in a slightly positive absolute return of +0.7% and a relative performance over the S&P500 of +12.5%. This is a compelling reason to apply the more dour and rigorous standards. Readers will note that these are the same base case discounts from book value suggested by Benjamin Graham in the 1934 Edition of Security Analysis, more fully described in our Valuing long-term and fixed assets post under the heading “Graham’s approach to valuing long-term and fixed assets.” Why we ever deviated from these standards in the first place is beyond us. We’ll provide a more full discussion of where we went wrong with these stocks at a later date, but suffice it to say for present purposes that all were errors from the second bullet point in the Greenbackd’s valuation methodology section above (i.e. overly optimistic estimates for the recovery rates of assets in liquidation). Eight of these positions (ABTL, ACLS, ARCW, CAPS, CRC, CRGN, NSTR, and VOXX) are trading at or below our nominal purchase price and initial valuations. The remaining seven positions (AVGN, DITC, IKAN, MATH, NENG, NTII, and SOAP) are trading above our intial purchase price but are still at varying discounts to our valuations. We’ll provide a more full update on these positions over the course of this week. We are going to trial some small changes to the layout of the site over the next few weeks. We’ve already made the first change: the newest comments now appear at the top of the list. We’ll also be amalgamating some pages and adding some new ones, including a page dedicated to tracking the portfolio with links to the analyses. We’re also considering some options for generating income from the site. At the moment, Greenbackd is a labor of love. We try to create new content every week day, and to get the stock analyses up just after midnight Eastern Standard Time, so that they’re available before the markets open the following day. More than 80% of the stocks that are currently trading at a premium to the price at which we originally identified them (NTII, SOAP, IKAN, DITC, NENG, MATH and AVGN) traded for a period at a discount to the price at which we identified them. This means that there are plenty of opportunities to trade on our ideas (not that we suggest you do that). If you find the ideas here compelling and you get some value from them, you can support our efforts by making a donation via PayPal.